Every time an object moves on the earth, Friction is acting on it. Friction is an important force for you to understand. Its what allows us to stop when we are driving and a lack of it is what causes us to slide. Friction occurs when objects rub together. Whether your on the ground, in the air or in water, you experience friction. When molecules in the air push against and object, it causes friction. If there was no friction you would swim further and faster, with much less effort. 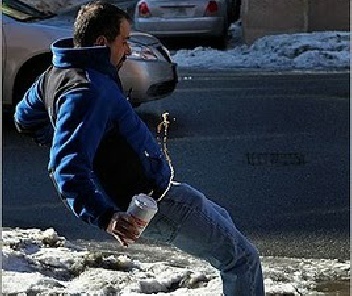 You wouldn’t be able to walk anywhere because you’d constantly be slipping. Friction is the force which acts in the opposite direction to motion. Different surfaces have different amounts of frictional force. We can overcome friction using a number of different methods. Magnetism is an extremely helpful tool when reducing friction. Have you ever played with two magnets, and noticed how the same ends repel each other. This space, means that there is no friction between the magnets. 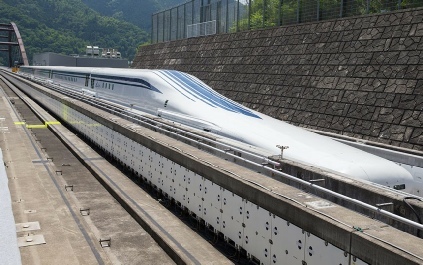 Japanese scientists have used this to create the Maglev train. Essentially, these train levitate a few inches off the platform, and then use a series of magnetic push hand pulls to move the train. These trains can go above 500km per hour! You may have heard of this or seen it before. 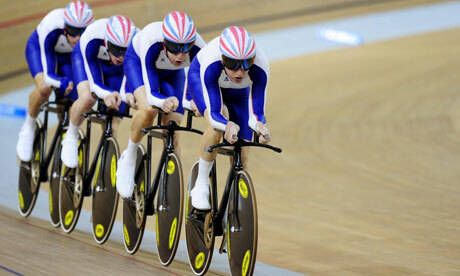 Riders will often ride very closely behind each other in a straight line. The reason for this is so the people behind the first person use less energy. 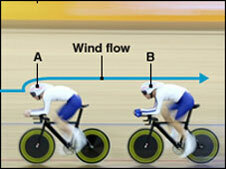 The person at the front has to deal with friction caused by the air so they expend more energy than the others. You can save up to 30% of your energy if you get into someone’s slip stream. You’ll notice when your driving in the rain, you can slide a lot easier. This is because the water creates a layer between the tyres and the road, meaning you have less friction. This is why formula one cars have special tyres they use during the rain, when the course is wet. As you can probably tell by the name, this form of friction occurs when we slide something, like a book across a table. When the book slides across, the bottom of the book is touching the desk. The weight of the object and type of surface it moves on, determines the amount of sliding friction. The heavier the book, the more sliding friction. When an object rolls over a surface the force needed to overcome rolling friction is much less than that needed to over come sliding friction. Essentially, you need less energy too roll something than slide something. This is why you can push a car, even though it ways more than half a ton. When moving through a gas (air) or liquid (water), there is some from of friction. This is called fluid friction. Observe the animation to the left, in both cases fluid friction is pushing up and slowing the fall. This is because, as the objects fall water molecules push against it, generating friction. However you an see the more, stream line one drops faster, as there is less friction acting on it. 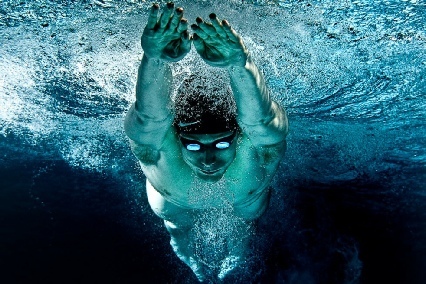 This is why you see swimmers, with there hands crossed in front of them underwater. This reduces the amount of fluid friction and increases their speed.